Good news for Pretty Little Liars fans. Deadline reports Freeform has picked up the spin-off TV series Pretty Little Liars: The Perfectionists. From I. Marlene King, the drama “is set in the town of Beacon Heights, a seemingly perfect town where a group of three college friends struggle with the stress of being overachievers. In the aftermath of the town’s first murder, each Perfectionist hides behind a secret, a lie and an alibi.” Janel Parrish, Sasha Pieterse, Sofia Carson, and Sydney Park star. Freeform has ordered 10 episodes of Pretty Little Liars: The Perfectionists; no premiere date has been announced yet. What do you think? Are you a Pretty Little Liars fan? 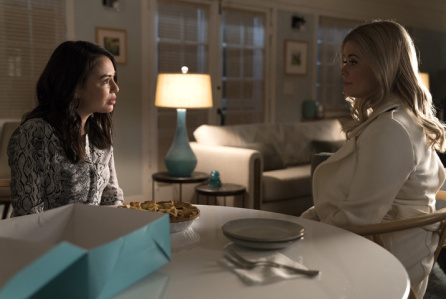 Will you watch The Perfectionists? More about: Freeform TV shows: canceled or renewed?, Pretty Little Liars: The Perfectionists, Pretty Little Liars: The Perfectionists: canceled or renewed?